BOSTON, Mass. 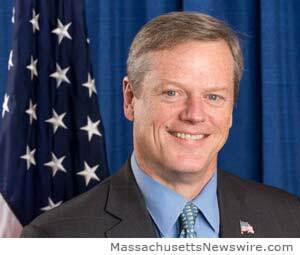 /Massachusetts Newswire/ — On Monday (June 1), Mass. Governor Charlie Baker, House Speaker Robert DeLeo and Senate President Stan Rosenberg announced that The Brattle Group, a global consulting firm based in Cambridge, has been selected to complete an independent analysis of the potential impacts of the 2024 Summer Olympic and Paralympic Games being hosted in Boston. The Brattle Group’s review will analyze and evaluate aspects of financing, infrastructure, economic impacts and Commonwealth and taxpayer responsibilities relative to Boston 2024’s bid preparation. The Brattle Group’s analysis, to be completed by mid-August, will target a review of the following areas: financial evaluation; economic impacts; funding mechanisms; insurance requirements and protection of taxpayers; infrastructure investments; and responsibilities of the Commonwealth. The Brattle Group will be assisted by financial reporting and accounting experts from Floyd Advisory LLC. Four proposals were submitted and reviewed by a selection committee consisting of representatives of the administration, the President of the Senate and Speaker of the House. The contract for a review is capped at $250,000 with support from the Office of the Governor and the Executive Office of Housing and Economic Development. The selection of Brattle follows a collaborative effort initiated in March by Governor Baker, President Rosenberg and Speaker DeLeo to publish a request for response (RFR) seeking an independent analysis of Boston 2024’s plans with regards to potential costs, responsibilities and risks borne by state and local government. The Brattle Group is a global consulting firm specializing in economics, finance and regulation. The firm’s consultants and advisors are internationally recognized experts from both the public and private sectors who have assisted corporations, law firms and governments in answering complex economic questions and making critical business decisions. Brattle is headquartered in Cambridge, with offices in New York, San Francisco, Washington, London, Madrid and Rome.